What a little cutie this Handfuls stuffed duck is! 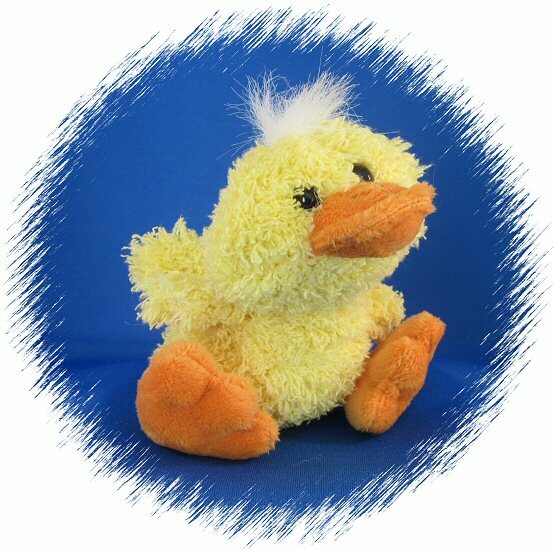 With soft and knappy yellow fur, orange feet and bill, and fun floppy wings, this adorable plush duck has a shock of white hair atop its head and a sweet little face you will just fall in love with. You won't have to worry about water on your floor with this cuddly duck as your companion! Fun Facts: What is a group of ducks called? Well, you have a few choices... a raft, team, or paddling. Makes you want to take ducks to the lake!